CWT designs and builds CEDI systems for Power, Pharma and microelectronics industry. Electrodeionization or EDI, is a continuous and chemical free process of removing ionized and ionizable species from the feed water using DC power. 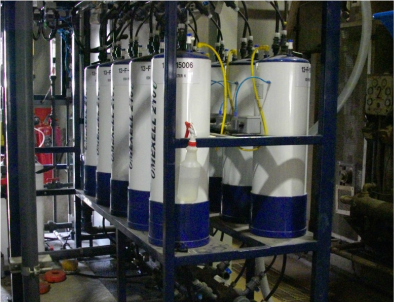 EDI is typically used to polish reverse osmosis (RO) permeate and to replace conventional mixed bed ion exchange, which eliminates the need to store and handle hazardous chemicals used for resin regeneration and associated waste neutralization requirements. 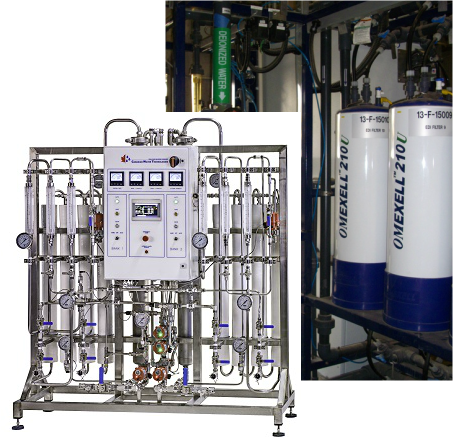 Canadian Water Technologies High Purity division is proud to serve clients in the medical, laboratory, life sciences, and commercial fields. Our wide array of products are designed and manufactured to fit the unique needs of our clients demanding the utmost in purity, repeatability and quality.